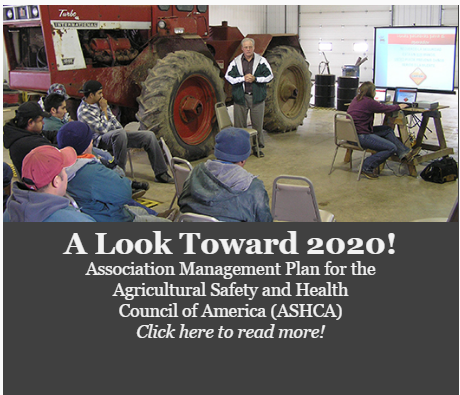 The Agricultural Safety and Health Council of America is a not-for-profit organization established to pursue national strategies to create a less-hazardous work environment for American agriculture. 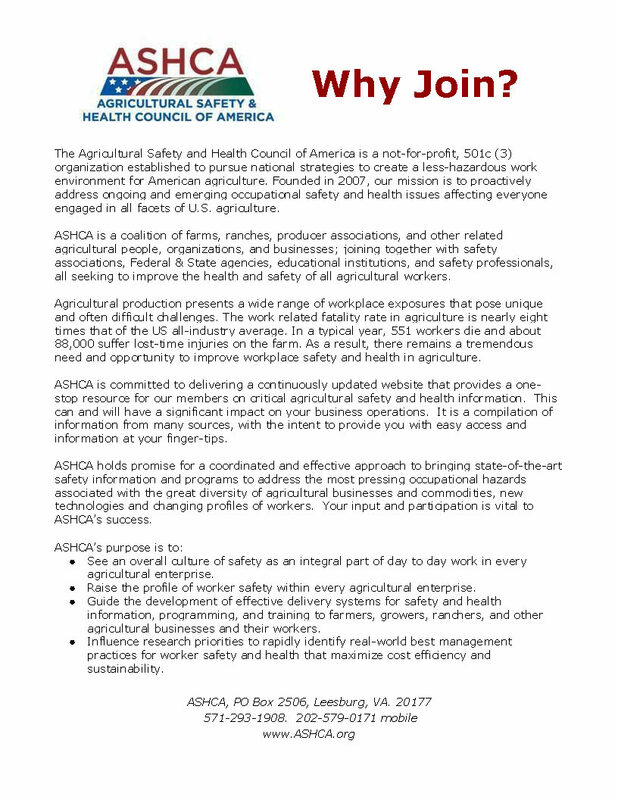 Founded in 2007, our mission is to proactively address ongoing and emerging occupational safety and health issues affecting U.S. agriculture. 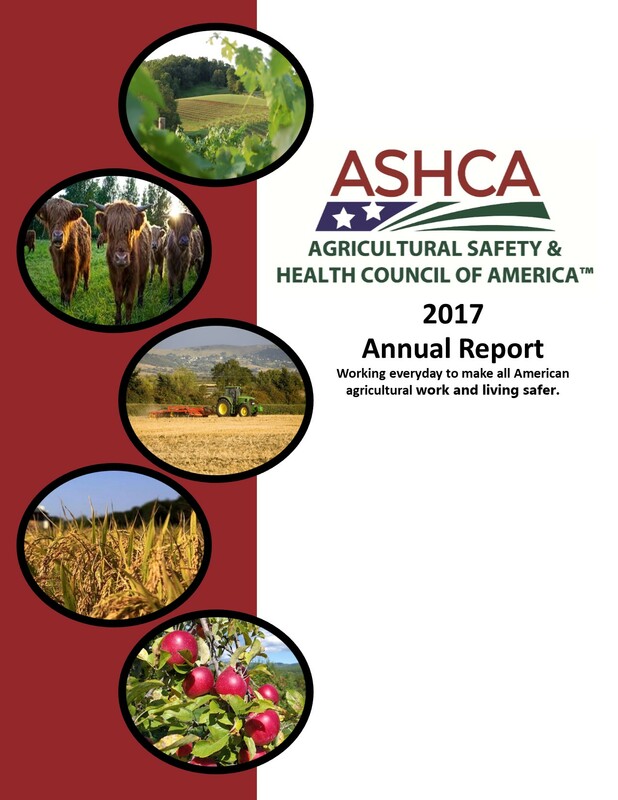 ASHCA is a coalition of more than 50 organizations, businesses, federal agencies and safety professionals all seeking to improve the health and safety of farmers, ranchers and agricultural workers. Agriculture, due to its decentralized nature and diverse structure, lags other industries in reducing the toll on its workers. Its fatality rate is eight times that of the all-industry average. In a typical year, 551 workers die while doing farm work and about 88,000 suffer lost-time injuries. 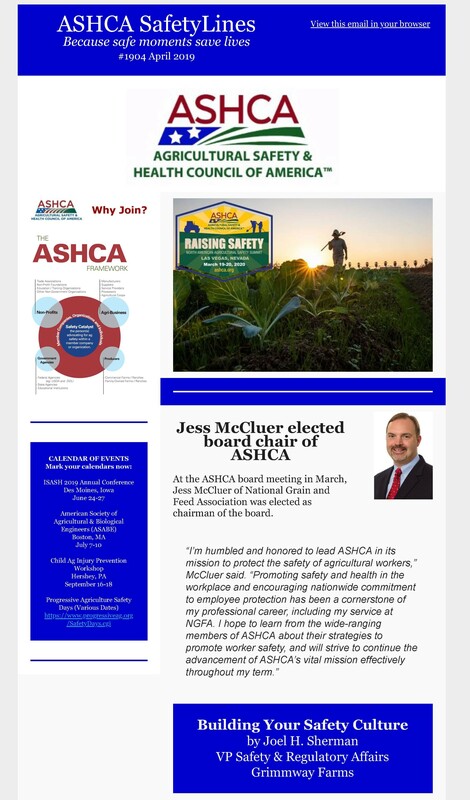 ASHCA holds promise for a coordinated and effective approach to bringing state- of-the-art safety information and programs to address the most pressing occupational hazards associated with various commodities, new technologies and changing profiles of workers. Raise the profile of worker safety within agricultural enterprises. Guide the development of effective delivery systems for safety and health information to farmers/ranchers and their workers. Influence research priorities to rapidly identify best management practices for worker safety and health that maximize cost efficiency and sustainability. Pursue effective national strategies to reduce disease, injuries and fatalities in agriculture.